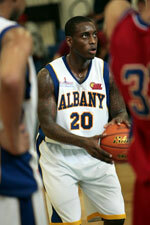 Zakho (IBL) agreed terms with American/Iraqi point guard Sanar Shamdeen (173-155kg, college: Alderson-Broaddus, WV). He played last season at Al Shurtah. He helped them to make it to the final after they ended regular season as second best team. 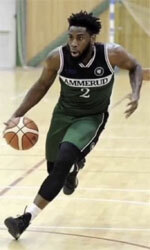 Quite impressive season as he was named to Asia-Basket.com All-Iraqi League Honorable Mention. The list of the past achievements is quite long as among others Shamdeen's college team won G-MAC Tournament for two years in a row (2014 and 2015). He graduated from Alderson-Broaddus , WV in 2017 and it will be his second season as a professional player.